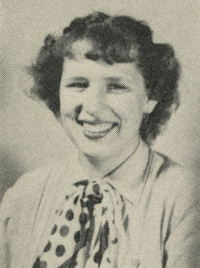 Obituary – Shultz, Willene Yvonne (Pricer) « Perry High School Alumni Association, Inc.
Red Hots 48-50, Girls Sextet 49-50, Mixed Chorus 49-50, Office Staff 48-49, Junior Girls Trio 49-50. 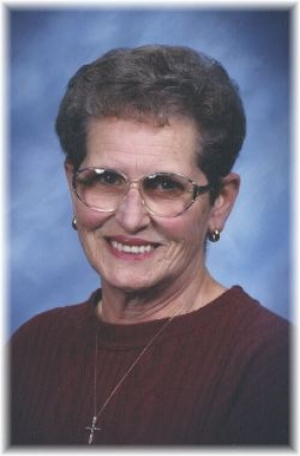 Willene Yvonne Shultz, 73 year old Seminole resident passed from this life on Saturday, December 9, 2006 at Seminole Estates Care Center in Seminole. She was born November 27, 1933 in Perry, Oklahoma to parents Willie O. Pricer and Lydia (Tolsdorf) Pricer. Willene graduated from Perry High School and continued her education at a business college. She married Ray Shcultz on January 19, 1955 in Pawnee, Oklahoma. Mrs. Shultz retired from Joe Mills Well Service in Seminole in the 1980’s and had been a homemaker since her retirement. Willene was a member of the Bowlegs First Baptist Church. She leaves to cherish her memory, her husband, Ray Shultz of the home. Three sons and daughters-in-law: Rob Shultz of Wewoka, Oklahoma, Doug & Pat Shultz of Oklahoma City, Oklahoma and Brad & Tammie Shultz of Prague, Oklahoma. One daughter, Raylene Shultz of Wewoka, Oklahoma. One brother and sister-in-law, Pat & Martha Pricer of Pittsburg, Texas. One sister, JoAnn Edwards of Perry, Oklahoma. Two granddaughters, Megan Shultz of Ada, Oklahoma and Kara Shultz of Oklahoma City, Oklahoma. Willene is preceded in death by both parents and one granddaughter, Jennifer Shultz who died in 2003. Graveside Services are scheduled for 2:00 p.m., Monday, December 11, 2006 at Little Cemetery. Brother Andy Quinton will officiate the service. The family request that donations be made to the Childrens Research Center, 800 Research Parkway, Suite 150rnOklahoma City, OK 73104.